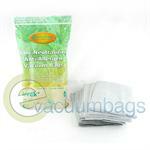 Oreck Vacuum Bags are constructed with 3 layers for an advanced filtering system. The Oreck SaniSeal automatically closes to seal dust in the bag during bag changes. These advanced filtration bags are easy to install, easily inserted into the bag dock, and then snap closed. This style of bag is available for all Oreck vacuums since 1997: Oreck Classic, Silver, Gold, Platinum and Pilot, plus older models including Deluxe and XL21. Fits 2000, 3000, 4000, 8000, and 9000 series. 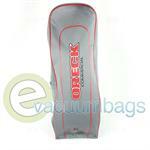 Single Wall Vacuum Cleaner Bags are still available for older style Oreck Vacuums. 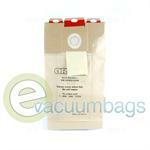 These standard filtration bags are easy to install, inserting easily into the bag dock, just snap closed. For XL9000, XL-100C, XL-888, XL-988, XL-5000, XL-5300, XL-8300, XL-9300, XL9000W and XL9100C. and XL200S, XL-9200, XL-9400 and XL9100HG. 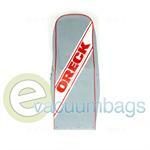 Oreck also makes Odor Fighting Vacuum Bags for certain Oreck Vacuum models. These powerful filtering bags make use of activated charcoal to fight odors. 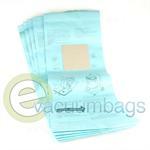 These bags can help maintain suction 20% longer than with a regular vacuum bag, meaning less frequent replacement. 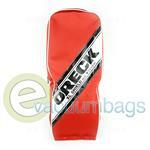 These bags are also easy to install and feature the Oreck Saniseal to ensure a clean bag change. Available for the Oreck Edge and other Oreck Vacuum models. You can also fight odors with activated charcoal bags in your Hand Vac. 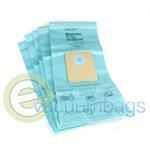 Odor fighting filter bags more effectively reduce unpleasant odors than with normal bags. Available for all Oreck Handheld Vac models BB180, BB280, BB850, BB870, BB880, BB900, BB1000, BB1100, BB1200, MV160 and CC1600. For those not concerned with fighting odors, standard double-wall vacuum bags are also available for your Hand Vac. Oreck HEPA Filtration Odor Fighting Vacuum bags capture at least 99.97% of particles at 0.3 microns. That includes dust, smoke, pollen, pet dander and mold spores, putting those with allergies at ease. A layer of activated charcoal traps odors in the bag. These easy-to-install bags also feature the Saniseal automatic closure that seals dust in the bag for a hassle-free bag change. Available for Oreck Magnesium, Oreck Halo or the Oreck Edge Vacuum Cleaners as well as all Oreck vacuums since 1997: Oreck Classic, Silver, Gold, Platinum, Pilot, plus older models including Deluxe and XL21. Fits 2000, 3000, 4000, 8000, and 9000 series. Oreck Odor Fighting Hypo-Allergenic 4-Layer Celoc Charcoal Filter Bags are 7 times more effective in reducing unpleasant odors, and can improve suction up to 20%. With 4 layers of improved filtration technology, these bags provide antimicrobial protection to inhibit growth of mold, mildew, and bacteria, and at the same time last longer so bag changes are less frequent. An excellent choice for those sensitive to dust and allergens. Double Wall high-filtration bags are available for the Oreck Dutchtech® Canister Vacuum series 1100, 1200, 1300 & 1400. 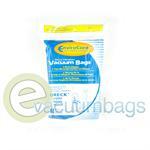 Inner Cloth Vacuum Bag for Oreck XLPRO6, XLPRO6A and XLPRO6Z 6 Quart Commercial BackPack Vacuums. 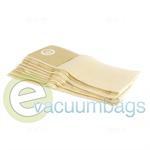 Wide Area Paper Vacuum Bags for Oreck and Mastercraft Upright Vacuum Cleaners. Hypo-Allergenic Filter Vacuum Bags for Oreck 1400 and 1500 Compact Canister Vacuum Series. 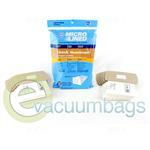 EnviroCare Micro Filtration Paper Vacuum Bags for Oreck 2000, 8000 and 9000 Upright Model Vacuums. 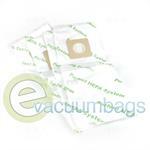 Generic EnviroCare Micro Filtration Paper Vacuum Bags for Oreck Buster B Model Vacuum Cleaners. 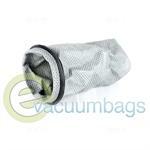 Outer Cloth Vacuum Bag with Zipper for Oreck Commercial XL 2000 and XL 2100 Upright Model Vacuums. 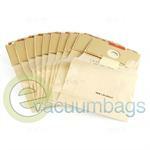 6 Quart Paper Vacuum Bags for Oreck Compacto 6 Wet Dry Canister Vacuums. 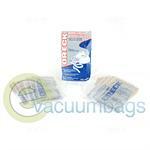 Paper Vacuum Bags for Oreck Compacto 9 Canister Vacuum Cleaners. 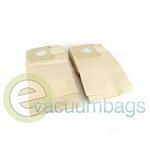 Paper Vacuum Bags for Oreck ComVac SV280 Model Vacuum Cleaners. 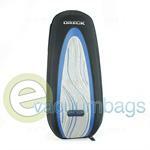 Silver / Black / Blue XL Outer Cloth Vacuum Bag for Oreck Forever Series Pilot Power Team Model Vacuums. 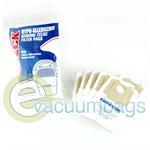 Hypo-Allergenic Paper Vacuum Bags for Oreck Housekeeper Compact Canister Model Vacuums. Disposable Hypo-Allergenic Celoc Charcoal Filter Vacuum Bags for Oreck Housekeeper Compact Canister Model Vacuums. Micro Lined Paper Vacuum Bags by DVC for Oreck Housekeeper Compact Canister Vacuums. 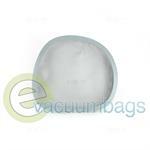 Replacement Outer Cloth Vacuum Bag for Oreck U4080H2B 4000, U408H2R 4000 and U4080H2Y 4000 Series Upright Vacuums. 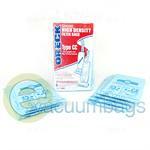 Genuine High Density Disposable Filter Vacuum Bags for Only Oreck Quest MC1000 Model Vacuums. 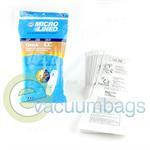 Hypo-Allergenic Old Style Paper Vacuums Bags for Oreck XL 2000 8 lb. Commercial Upright Vacuums. Oreck Commercial HEPA Filter Vacuum Bags for Oreck OR101H and OR102H Upright Model Vacuum Cleaners. 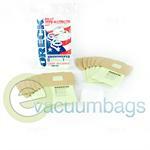 Disposable Paper Vacuum Bags for Oreck Pro 12 Upright Commercial Vacuum Cleaners. 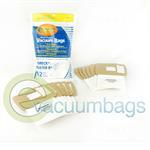 Disposable Paper Vacuum Bags for Oreck Pro 12 Series Vacuum Cleaners. Dual-wall Disposable Paper Vacuum Bags for Oreck Commercial XL Pro 14 and Pro 18 Model Vacuum Cleaners. Oreck PT57 Cloth Filter Vacuum Bag for Oreck Steamers and Wet/Dry Model PT357-B Vacuums. 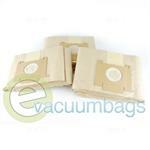 Genuine Paper Vacuum Bags for Oreck PT57-357 Commercial Canister Vacuum Cleaners. 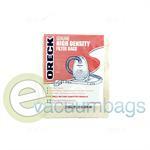 Genuine High Density Filter Vacuum Bags for Oreck Upright Model Vacuums using Style CC Bags. 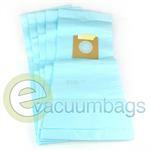 Disposable Hypo-Allergenic Paper Vacuum Bags for Oreck Upright Model Vacuums using Style CC Bags. 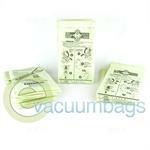 Generic DVC Micro-Lined Paper Vacuum Bags for Oreck Upright Model Vacuums using Style CC Bags. 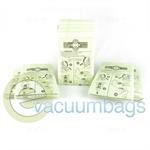 EnviroCare Anti-Allergen Paper Vacuum Bags for Oreck Upright Model Vacuum Cleaners using Type CC Bags. HEPA Filtration Odor Fighting Paper Vacuum Bags for Oreck Upright Vacuums Accepting Type CC Bags. 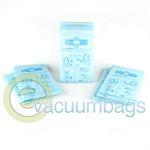 Genuine High Density Filter Vacuum Bags for Oreck Upright Vacuum Cleaners using Type CC Bags. 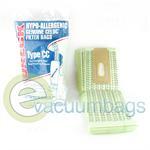 Genuine Hypo-Allergenic Filter Vacuum Bags for Oreck Upright Vacuum Cleaners using Type CC Bags.